Distinctive by simplexity, style defined by Ora-Ïto, a world renowned Distinctive by simplexity, style defined by Ora-Ïto, a world renowned designer of the new generation. Simple and complex. A minimalistic designer of the new generation. Simple and complex. A minimalistic and elegant interaction of modern and noble materials; black glass and elegant interaction of modern and noble materials; black glass and aluminium. and aluminium. It does not say too much, just what matters. Nothing more. A trendy It does not say too much, just what matters. Nothing more. A trendy collection of household appliances – the Gorenje Ora-Ïto Collection. collection of household appliances – the Gorenje Ora-Ïto Collection. with patented AdaptAir filtration solutions that clean – and can be cleaned – all the more efficiently. Many smart solutions have grown out of listening to what consumers really want. We create new products with real people in mind and design solutions that have real impact on their lives. Like products that help our users live healthier lifestyles. The IQcook induction hob for example, a global innovation that allows for optimal steaming in a normal pot. Or our new high-performance built-in steamers that fit perfectly with the entire built-in cooking range. And the ConvertActive fridge that can be transformed with the mere touch of a button from freezer to fresh zone for storing fruits and vegetables. Simple, healthy lifestyles is one of the biggest and fastest-growing consumer trends that will create new demand for new, creative products – which is why we’ve dedicated plenty of attention to this and related concerns and interests in this current magazine issue. Many of the new products and features highlighted in the magazine are on show at IFA in Berlin this September. If we won’t have the pleasure of seeing you there we hope you enjoy your time with the magazine and make the most of any information or ideas herein. HOMEMADE everyday cooking experience, made perfect Taking active care of quality of living lies at the core of Gorenjeâ&#x20AC;&#x2122;s HomeMade philosophy. Our new-generation built-in appliances are personal assistants who take care of every detail. With this range of ovens, hobs and hoods cooking becomes caring and enjoying at once. Because only HomeMade is perfectly made. wh y can’ t men? The ION generation of fridge freezers takes food freshness to a new level. An optimal, constant temperature an ideal, natural microclimate are what food needs to be as fresh as in a garden. Donâ&#x20AC;&#x2122;t waste your food with improper storage. Trust nature. Making Lives Simpler, Better Gorenje President and CEO Franjo Bobinac on innovation, shifting priorities in a fast-changing field and how to better understand and respond to todayâ&#x20AC;&#x2122;s consumers. Appliances have to make life simpler for our users. This includes lifestyles of our current users and those we are looking to impress, convince to choose our products. Our customers are of course also mindful of price; but this is not the sole criterion of their purchasing decision. Consumers choose our appliances because they find our products make their lives simpler. Customers in this segment are looking for good quality and original design, as well as the rest of the user experience package, including after-sales service. As every year to date, Gorenje appears at the IFA tradeshow this September. It’s been a year since we last spoke. What major changes have occurred during this time? And what do you anticipate, expect in the year ahead? It has indeed been a year of many changes and developments. The business environment remains uncertain and unstable. Political turmoil and macroeconomic turbulence have nearly halved the Ukrainian market and slowed progress in Russia. Whirlpool, the world’s largest major appliance manufacturer, acquired Indesit; Electrolux is eyeing GE’s home appliance division; hence, it seems a new wave of consolidation is about to take place in the industry. Gorenje has completed the restructuring of its manufacturing operations, reduced its financial leverage, introduced many new products that have consolidated its market position, and established the foundations for successful development of all of its own brands, including the high-end brand Asko. Challenges abound for all players in the industry, mostly with regard to conditions in the business environment and shifting habits of end-consumers, including the trend of digitalization. How can Gorenje become a more integral part of the lives of its users? We continue to develop original products and solutions and we seek to adapt them to different consumer segments, and to market them in as many countries as possible, including the markets beyond Europe that are expected to grow faster. Thus, we are committed to development of a complete and all-around range of laundry care, dishwashing, cooking, and cooling appliances, as well as small home appliances and heating systems. Which functions and features of Gorenje appliances do you find particularly advanced or central to today’s contemporary lifestyle? I believe the kitchen is the heart of every home. Therefore, all Gorenje appliances used in this hub of family life are essential. In this sense, the most important features may be the ones that allow cooking in ways that are consistent with a healthy lifestyle, as well as cater to different needs and tastes. Gorenje is particularly innovative in this respect and certainly among the very best in the industry. Healthy cooking is made better possible, for example, by our latest generation of ovens or the IQcook hob. Have functionality and user experience supplanted design as the top priorities for the users of Gorenje appliances? No. I believe there is a combination of aspects and design that remains a key competence, and a major part of our corporate vision continues to play a big part. Design in and by itself is not, of course, enough. It has to follow the emotional experience and the functionality. Appliances have to make life simpler for our users. How has Gorenje responded to changes in people’s lifestyles, habits and priorities? Gorenje above all seeks to understand the end users, their desires, preferences, and challenges. This understanding is then channelled into the development of new products, solutions, functions, and in a form that will impress consumers and make their lives easier. Needless to say, we are not alone in such endeavours; other manufacturers face similar challenges. It’s important for us to offer solutions that are original, unique and convincing enough for the user to choose our product. In doing so, we cannot ignore the other elements of the marketing mix which, in addition to the product, also includes the choice of distribution channels, pricing, and communication. Gorenje has a very significant influence on and part in our daily routines. How does Gorenje affect your everyday – both as the President and CEO, and as a user of Gorenje appliances? 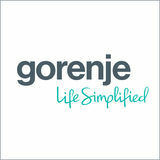 My life has been closely intertwined with Gorenje for many years. I am happy to still find this an irresistible challenge, both because of the many business partners whom I like to meet and expect to meet at this year’s IFA, and because of the wonderful co-workers that join me in leading Gorenje on the path of internationalization and creation of value for the shareholders and all other stakeholders. As a user of our appliances I have to be honest and say I rely on my wife, who is an excellent cook, while I remain an appreciative gourmet enjoying the treats prepared in the home kitchen with – of course – Gorenje products. 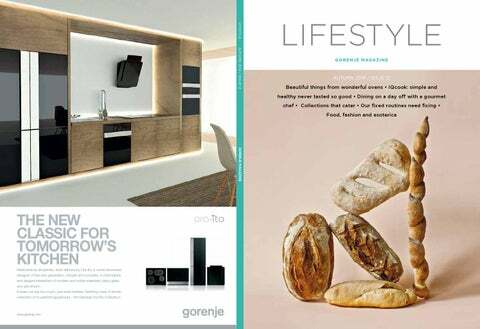 Gorenje’s development activities seem to be increasingly focused on lifestyle experience. What kind of lifestyle are we talking about? Mission Accomplished Gorenje’s latest Built-In Ovens project has taken years of careful planning and enormous input from a vast array of people, teams and technologies. We followed the development of this ambitious project – in process – to get an idea of how it’s managed and executed; and to meet just a few of the people that make it happen. area/role in The project: I work with all of the electrical components (together with two other electrical engineers), user interfaces, certification, MW technology, appliance function development, with overall co-responsibility for entire project. process stage depicted: A microwave magnetron and inverter, for which my team developed the solution, in cooperation with an external development partner. area/role in The project: My responsibility covers the mechanical field in the project, and coordination of engineers connected with all mechanical issues. process stage depicted: Spreadsheet outlining various possible new and existing solutions for one oven detail. We used many of these to arrive at a suitable and stable platform. area/role in The project: As a Project Manager I’m responsible that the final products are produced on schedule, according to technical and market and specifications, to achieve target quality and that process remains on budget. process stage depicted: Roadmap / schedule of certain planned tasks and processes which need to be met and realised in order for the project to meet all set goals in terms of quality, time, functionality and efficiency. area/role in The project: I work with numerical development of the oven cavity, and of oven heating elements for best performance. Also development of cooling system; ensuring oven safety meets standards; and coordination of work in the laboratory. process stage depicted: CFD (Computer Fluid Dynamics), numerical simulations of flow and heat transfer in the new ovens. area/role in The project: I was responsible for the assembly concept for all of the platforms on the project.Â With these new platforms weâ&#x20AC;&#x2122;ve also implemented a new assembly line into the process. area/role in The project: My role in the project is divided into three phases: first, to avoid repeating past mistakes and that we donâ&#x20AC;&#x2122;t develop new ones; second, the testing of appliances before they launch; and finally monitoring appliances on the market, ensuring expectations are met or exceeded. process stage depicted: Some of the measuring instruments and tools used to measure distances, joints, angles, etc., that ensure correct dimensions of the components and the entire apparatus. process stage depicted: Two types of electronic components used in the new ovens for oven display and control via dot-matrix (above) and TFT (below) module / user interface. Gorenje ovens are designed as multifunctional tools that help users (you) get the most of their food and food preparation. Theyâ&#x20AC;&#x2122;re also available in a variety of dimensions and styles to fit easily and beautifully into any environment. Gorenje ovens come in three ranges (essential, advanced and superior), all designed to deliver optimal functionality and performance. ba k e The smell and taste of dishes prepared in traditional wood ovens has always been something very special – and these days, particularly exclusive. The innovative rounded oven interior – now smartly masked – enables a free, streaming flow of air that ensures heat is evenly distributed throughout the oven. So bread is perfectly baked on the inside, crispy on the outside. S tea m The secret ingredient? A drop of water. Gorenje ovens use steam to solve two basic challenges in contemporary cooking: healthy food preparation and environmentally friendly cleaning. And with MultiSteam, a special fan distributes steam evenly, giving the food a soft and tender feel. One water tank is enough for the whole cooking process, and is positioned smartly for easier handling. D e h y drate Dried fruit, vegetables, herbs, even meat can be prepared in no time at all, at home; and on five separate baking levels. So great food is always at hand. And the creative spirit is free to dry. G R I LL With MultiFlow 360 all the sides are the good sides, because this feature guarantees optimal circulation of heat throughout the oven thanks to precisely positioned openings on the ovenâ&#x20AC;&#x2122;s rear wall. IN THE FUTURE, ALL FOOD WILL BE COOKED LIKE THIS. IQcook is the worldâ&#x20AC;&#x2122;s most impressive hob as it helps ordinary people cook effortlessly while having a perfect result almost guaranteed. IQcook guarantees healthy, fast cooking, full of enjoyment. In the latest generation it is even more time and energy efficient and simpler to use. Pounding Stainless At seven metres in length this table makes it the largest press in Slovenia. Here stainless steel 0.8 mm thick is transformed by a force of 12,000 kN. A minimum of ten pieces are produced in a minute. High-Voltage Welds The new built-in ovens are constructed from several components â&#x20AC;&#x201C; but the welds are invisible. Two plates are charged with 9,000 amps of electrical current, making the plates become so hot as to produce a seamless weld. Permanent Attraction The second phase of enameling process involves an enamel powder. The powder is sprayed with special guns, which are either attached to the cab or borne by a robot. Two industrial robots in the cabin perform state-of-the-art spraying tasks for even the most demanding of semi-finished products. What makes the powder stick to the surface? Adhesive force â&#x20AC;&#x201C; applied with 80,000 volts. In an electrostatic application process the enamel powder is electrified with a positive charge, and the steel product with a negative one. The ovens are then ready for firing. A special conveyor system will take them through the furnace for 25 minutes at a temperature of 850Â°C. Here the powder melts creating a shiny, durable surface on the oven known as enamel. Fast and Flexible The assembly line is designed to operate as an entirely new production platform. The line performs assembly and control of steam, microwave, and pyrolytic multi-function 45 and 60 cm built-in ovens. The line is also suitable for the production of the existing NGVA3 generation. The line can turn out up to 350 new oven units or up to 450 NGVA3-generation units per shift. Values on the Line On the assembly line microwave appliances and steam appliances get special treatment. Leakage is very closely monitored for both â&#x20AC;&#x201C; and it has to be perfect. Testing and More Testing In the laboratory the reliability of all user functions is tested and thoroughly monitored by highly-skilled professionals. With positive test-results the first of a regular production series can be launched and delivered to market. 1 — DAILY GRIND MADE EASY Gorenje Built-in Coffee Machine This new stainless steel built-in fully automatic coffee machine offers everything a true bean lover dreams of – perfect grinding for perfect aroma, integrated slider to regulate milk froth, a variety of brewing methods, an automatic timer for early birds and more. It also features an LCD screen and is very easy to use. Did we mention it’s self-cleaning? Hi-tech has never been more irresistible. www.gorenje.com 2 — CLEAN CUT Diversamenteuguale Cutting Board This beech wood board and knife set is the perfect tool for perfectionists – if you like your cake or pizza slices identical, or if making toast sounds more exciting if it requires a bit of math. Not everybody is a trained cook. Which is why Gorenje created a range of innovative cooking tools that help people do much more with less input â&#x20AC;&#x201C; and in less time with far less energy consumption. Smart. Intelligent, highly sensitive IQ Sensors built into each cooking zone automatically adjust operation of the hob and eliminate the need for continuous manual control of the cooking process. The Gorenje IQcook hob from the new HomeMade generation of builtin appliances is the first induction hob in the world you can trust â&#x20AC;&#x201C; trust to perceive all the changes big and small throughout the cooking process and adjust operation to avoid boiling over, burning, or overcooking. Here user-adjusted preset operating modes offer a choice of five preset cooking functions: IQsteam: for steam cooking, which better preserves nutrients and vitamins. Very little water is added, so food isn’t overcooked and retains its natural colour, juices, and flavour. IQpro: for preparing dishes that require longer cooking at lower, constant temperature, with a gradual warming up period – perfect for dishes like rice, chili or polenta. IQboil: used for dishes that require more water, like soups and pastas. A preset function brings the pot to the boil, then maintains boiling temperature via the IQ sensors. IQpoach: allows preparation of food which retains natural colours, juices and flavours. Constant temperature between 71˚C and 85˚C is healthy and versatile and prevents overcooking. IQgrill: a convenient preset function using very little or no oil, and allows users to select how well done their dishes are with three presets, ensuring food is cooked evenly and remains juicy. What young culinary enthusiast Irinja whipped up on the IQ one summer afternoon: • Grilled riboni with herbs, spinach with wasabi, mashed potatoes, and sweet poached pears in red wine. Light, healthy and tasty tasty. 1 — Mashed potatoes Boil 6 medium-sized potatoes in salted water. Peel once they’ve cooked (20 minutes or fork-test) and cooled some. Place in a large bowl and mash together with 2 tablespoons of sour cream and 2 dl of cold milk. Add the juice of half an organic lemon and all of the finely-ground rind. Mix well. 2 — Spinach with wasabi Steam a big handful of well-washed spinach. While steaming crush one garlic clove and fry lightly in a little olive oil until golden. When the spinach is steamed drop it into the blender, add a good pinch of salt and fresh black pepper, a splash of olive oil and a bit of wasabi paste. Blend at medium speed. Place in a bowl and stir in the garlic. Like it creamy? Add a spoon of sour cream. 3 â&#x20AC;&#x201D; Grilled Riboni with herbs Take a nice-sized (500g) Riboni, cleaned and scaled, and stuff belly with a sprinkle of salt and fresh black pepper, a couple of bay leafs, a sprig of thyme, a large sprig of parsley, and thin half-slices of organic lemon. Pour some olive oil inside, and drizzle more over fish. Place in warm (not hot) grilling pan on hob at medium-high heat and grill for 7-8 minutes on each side. Serve on bed of spinach and mashed potatoes. 4 â&#x20AC;&#x201D; Sweet Poached Pears in Red Wine Halve the vanilla pod, scrape out the black seeds and put in a large saucepan with the wine, sugar and cinnamon and thyme. Cut each piece of pod into three long thin stripes, and to pan, then lower in the pears. Steam the pears, covered for 20-30 min, making sure they are covered in the wine. The cooking time will very much depend on the ripeness of your pears. They should be tender all the way through. Take the pears out of the pan, then boil the liquid to reduce it by half so that is syrupy. Serve each pear with the cooled syrupy, a strip of vanilla, a piece of cinnamon and a small thyme spring. Visual references to make your life richer, more vibrant Today there’s so much out there competing for our attention, so it’s ever harder to filter and choose what you really want to include in your life. How to decide what fits our personal vision, what best reflects how we want to see and be seen? Here we’ve chosen four Gorenje appliances central to the personal colour schemes of four different individuals. princeton orange SensoCare Washing Machine Colour Edition He’s busy and mysterious, with a schedule as loaded as a (government) minister’s. You’ll find that getting hold of this artist and bar owner is even harder than collaring the president. His mother is Lithuanian, but they moved when he was still a little boy first to Sweden and then eventually to Paris. She had the idea her son would soon be a celebrated member of the artistic community. Over the past 23 years he’s evolved from a tag artist to an icon with a global following. He’s still single and tends to overfill his plate with all life has to offer. Imperial red ION Generation Freestanding fridge freezer Colour Edition They’re a team – a team that creates the world’s best handmade, all-wood stand-up paddleboards and paddles. She draws, designs and cooks amazing things; he’s a carpenter and a manager. They say nothing is more magnificent or feels better than wood on the water. Their boards are made of parota wood, which is a lot like teak with the density of cedar. They’re both highly eco aware, outdoorsy and big travelers. Royal Coffee Gorenje Retro Edition Freestanding Fridge Freezer A high-spirited family. Especially when it comes to discussing books. She studied German literature and art history and comes from a family with a printing house. Early on, though, she struck out on her own path, pursuing a career in ballet. But then she met her husband who works in publishing, which brought her back to the mĂŠtier familiar of her childhood. Together theyâ&#x20AC;&#x2122;ve successfully built a small publishing empire, good enough for their rather demanding tastes and good enough to provide a good education for their three kids. True Blue Gorenje Retro Edition Freestanding refrigerator She has a great sense of humour. Maybe a little too great. She’s a bit cynical. She used to be a DJ, so her job was to go out and party, interact with people. Now she creates head pieces (jewelry and accessories for the head). She wants life to be light and funny, though at 37 she knows it isn’t always going to be that way. She’d like things to stay just the way they are; and the way she is. Which is part of a larger, loving aesthetic. She likes children’s stuff, doing nothing, watching movies. Her biggest favourites are sewing and drawing. To be honest, she likes just plain being the most. Maybe grab something good from the fridge here and there. From Sweden with Lax Being Swedish carries with it certainly responsibilities – like attention to quality design, and the idea that form and function are equally important. ASKO design is smart and elegant, simple to use, yet complex enough to meet a wide range of demands. ASKO products are built to last, be a part of your home for a long time, so reflect a minimalist design that is contemporary yet timeless, so they’re always well at home in the kitchen, laundry spaces, anywhere. Being Swedish also carries with it certain traditions – culinary traditions, like gravlax, classic Swedish meatballs and haverflan (oatmeal) cookies. From start to finish, cook, clean and enjoy – with ASKO. Makes 4 servings Start the gravlax at least two days in advance. P reparation For gravlax: Heat all peppercorns and coriander seeds in a small skillet, medium-high heat, until spices smell and jump. Crush spices in mortar with pestle. Transfer spices to small bowl. Mix in salt and sugar. Poke small holes through skin of salmon with small sharp knife. Rub 1/3 of spice mixture over skin. Sprinkle 1/3 cup chopped dill in bottom of 20x20x5 cm glass baking dish. Place salmon, skin side down, atop dill. Rub remaining spice mixture into top of salmon. Press 2/3 cup chopped dill onto salmon. Cover with plastic wrap, pressing directly onto fish. Place plate or another pan atop plastic. Place heavy cans on plate. Refrigerate 2 to 3 days. For sauce: Whisk mustard and vinegar in small bowl to blend. Gradually whisk in oil. Stir in chopped dill and salt. Season with ground black pepper. (Sauce can be made 3 days ahead. Cover and chill.) Scrape spices and dill off both sides of salmon (some spice mixture will remain). Thinly slice salmon diagonally at 45- degree angle from top of fillet toward skin using knife with long thin blade. Arrange toasts on platter; top with salmon slices, sauce, and dill. P reparation Melt 1 tbsp butter in large frying pan, medium heat. Add onion and cook, stir occasionally, until softened. Remove from heat. Place bread in mixing bowl, add milk. Let sit until bread absorbs milk. Add cooled onion, ground beef and veal, egg, salt, pepper, and nutmeg. Mix until mixture is light and sticky. Form meat mixture into 2 cm balls, wetting hands in bowl of water to keep mixture from sticking. Place meatballs on a baking sheet. Melt remaining 2 tbsp butter in pan over medium heat. Add half the meatballs and fry. Turn occasionally till browned on all sides and cooked through, about 8 to 10 minutes. Transfer to clean serving dish. Repeat with remaining meatballs. Sprinkle flour over drippings in pan and whisk till flour is no longer raw tasting. Slowly pour in broth, whisking to smooth out lumps. Cook until mixture starts to boil and thicken. Strain through fine-mesh strainer into medium heatproof bowl. Transfer strained sauce back to pan. Reduce heat to low, whisk in sour cream. Season with salt and pepper. Return meatballs to pan till heated through. Put meatballs and sauce on serving dish and sprinkle with parsley. P reparation Melt butter and stir all ingredients into mediumsized bowl. Mix well. Grease (butter) cookie sheet generously, then dust with flour. Drop 1 tsp batter onto sheet, 3 cm apart. Bake at 185 for 6足8 minutes or till golden around edges. Let stand 1 minute, then remove quickly with spatula. Let cool on a rack. Cook only one pan at a time so they cook evenly. power across the entire filter surface. A powerful EBM motor paired with great filters and sleek stainless steel enures all is well on the island and beyond. Pyrolytic oven (OP8676S): Powerful pyrolytic ovens from the complete new line of ASKO ovens. Extensively appointed inside, large 73l capacity, full touch control and a three-level pyro cleaning system that makes life so much easier. Dryer (T884 XL HP): The new tumble dryer, with a full 10kg capacity, and energy-efficient heat pump make it even smarter, more versatile, more effective. Washer (W8844 XL) Big new washing machines for big washing assignment, this one with a hefty 11kg capacity. So everything can get done at the same time – the whole family clean in no time at all. Dishwasher (D5644SS): Part of ASKO’s Logic Series this built-in is elegantly designed, with hidden controls for a sleek seamless look. Features like Turbo Drying and a choice of cleaning systems dolve and serve. Make the leap from the 82cm to the 86 cm (XXL) if there’s more space and more to wash.
Fridges are a lot more revealing then you might think. Not only do they tell us what we eat, they say plenty more: what’s your relationship status, how’s your social life, are you trend aware, do you care about organization and routines (or have these developed into everyday neuroses?) The fridge is also a mirror of your spending and saving habits, your take on bio, eco and organic; it tells has something to say about your working (and playing) schedule. Here, four different people, four different fridges. Match the fridge with the person it belongs to. And win a trip to your own fridge, for some lighthearted analysis. Inside the timeless shape there is an inspiringly practical cooling appliance. The combination of vintage design and different shades of cool make for prefect design item that brings a welcome accent to a kitchen interior. kitchen carries a distinctively clean look, without bay superficial shapes or gestures, without any visual noise to distract his thought. The noise he likes is the kind of music you never listen to but simply have in your head. He likes to listen to it even on the go, owns a few pairs of the best headphones. And like many driven individuals who have a PHD, he runs – every day, for 2 hours. In the wind, rain, even snow. He has a big collection of custom-made running shoes. He likes to watch stand-up comedy but isn’t a big talker himself. doesn’t use it as often.) After a workout she always takes a minute to do her hair and makeup, uses a variety of creams and serums every day. And theatre lipstick, because it’s the only one that stays put. Her grandchildren are her biggest entertainment. She reads them stories beautifully – probably something to do with her skills as a premier interpreter. He’s a creative at a high-profile advertising agency. At just 31 his job, his profession has much affected his way of living. He tries to spend as much time as possible driving along the Côte d’Azur, is taken with the endless glitter and sparkle of the sea. He dreams, like his friends, of one day having a Riva yacht. Instead of wasting time on Facebook he checks fan sites and Riva monthly rentals between creative bursts at work. kitchen exclusively with appliances from the Ora-ïto line, to keep things as cool and ordered as they get. Whenever he makes pasta or a morning egg for himself he realizes how little time he wastes, since cooking on an Ora-ïto induction hob speed things up – and boasts a host of great technological features. At home he eats while listening to the last Sound Cloud they were sharing at the office, but also enjoys eating out with friends. changes or adapting. She appreciates her line of Gorenje Simplicity appliances because they well suit and serve her habits and ambitions â&#x20AC;&#x201C; not the other way around. So she can keep on designing and arranging her life her way. Her sense of time management is extremely precise, an art. Which always leaves her a few hours in the evening to relax, unwind, play a game of backgammon with her husband or watch a movie. The relationship between fine dining and real, everyday food may seem complex. But relax, all is well. Because it’s all about the basics, about the beauty and enjoyment of good, well prepared food. And if there’s someone who knows how good food looks, feels and tastes, unadorned and awaiting that knowing touch, it’s a chef. With a whole eight Michelin stars under his apron-belt, Andrej Kuhar, Slovenia’s foremost food connoisseur, eats and enjoys (largely) straightforward meal-treats that need little introduction or hype. He likes – and needs – great-tasting, simple meals to fuel a long, hard day’s work. We followed him through a rare day-off, to see how and what (great) chefs eat – behind the scenes. Fried eggs Serves 1 2 fresh eggs (large) vegetable oil, fleur de sel, coarsely ground black pepper Pancake fry pan, coated The egg standard (Sunny side up) Pour oil into a cold pan and spread it evenly with a brush. Break eggs into the pan on medium heat. Increase heat and fry until eggs are perfect – for you. Season with fleur de sel and ground pepper. Garnish with one pepper corn on each egg yolk. Chef Andrej Kuhar prepared and enjoyed (and shared) three meals, all of them prepared on the same hob he has at home – a Gorenje Ora Ito Black induction hob. All three meals (and recipes) are simple and nutritious, with clean distinct tastes and full of love and respect for the ingredients. Lunch 1:10 pm Vegetables and veal stew Warm and nutritious Makes 6 servings 600 g mixed vegetables (50 g carrots, 100 g of parsley root, 30 g celeriac, 100 g leeks (white only), 50 g fresh red peppers, 100 g green beans, 100 g overhead kohlrabi, 70 g broccoli) 2 onions (cut into fine cubes) 3 tbsp vegetable oil 200 g potatoes (peeled and cut into large 1 cm cubes 750 g veal (shoulder or neck) cut into 3 cm cubes 1.5 l light beef broth 2 bay leaves 5 black pepper corns For dumpling: 200 g flour, 2 eggs, 3 tbsp oil, water, salt, teaspoon parsley, finely chopped 1 bunch chives Preparation Clean the vegetables and cut into 1 cm cubes. Heat oil in a saucepan, add chopped veal and fry well. Add the chopped onion and fry everything together until onions are soft and translucent. Add a little salt, pour in beef broth and add spices. Cook at a moderate temperature until the meat becomes almost soft. If necessary pour in a little of water. Then add the chopped vegetables (except leeks) and cook until vegetables are semi-crisp. Add the sliced leeks and allow to cook for another 5 minutes. Cook potatoes, Â˝ bay leaf and a little salt separately. (Always enough water to cover potatoes). Let the potatoes cook for 10-12 minutes, then set aside. For dumplings make a medium-thick dough. Add spoon after spoon to the stew. Allow to cook for the next 5-8 minutes, then add boiled potatoes. Add sliced chives and serve in a soup bowl. Dinner 6:20 pm Nut bread with marinated Scottish salmon, apple confit and wasabi cream Fresh and calming makes 4 servings: 320 g marinated Scottish salmon Lettuce leaves 8 slices of toasted walnut bread For apple confit: 1 apple (Granny Smith), 1 razor tip of vitamin C (ascorbic acid powder) ½ tsp acacia honey, 4 red radishes, salt, ½ tsp finely grated horseradish Preparation Peel and halve the apples, remove seeds and hard parts. Finely grate one half and cut the other into 5 mm thick cubes. Mix both parts and add vitamin C and honey. Wash the radishes, thinly slice and cut into fine noodles. Add a little salt, add the horseradish, then mix with the prepared apple. Store the confit in a closed jar in a cool place. Wasabi cream 40 g wasabi paste from a tube or 20 g wasabi powder, white wine and water 2 tsp whipped cream Mix wasabi paste and cream until it even. Or, mix wasabi powder with wine and water and add cream at the end. Mix well. Serving Cut the salmon into 3-4 mm thick slices. Place lettuce on the toasted nut bread and place the salmon on top of the salad. Distribute confit evenly over the salmon and layer cut radishes over confit. Sprinkle with wasabi cream. Serve the rest of the wasabi cream in separate sauce boats. Enjoy. Sous-Vide is all the rage, and for good reason. It’s been steadily gaining in popularity for years now – and is used in many high-end gourmet restaurants, by chefs such as English celebrity chef Heston Blumenthal and the French father of nouvelle cuisine Paul Bocuse and many, many others. Sous-vide (French for “under vacuum”) is a method of cooking food sealed in airtight plastic bags in a water bath – or in a temperaturecontrolled steam environment – for longer than normal cooking times. Food is cooked at a closely regulated temperature much lower than normally used for cooking – typically around 55 °C to 60 °C for meats and higher for vegetables. The sous-vide technique cooks the food evenly and retains both moisture and nutrients. The Gorenje Sous­vide Cooker has a capacity of a full 6 l, with temperature settings from 40˚ to 90˚ C. The programmable menu for longer slow cooking has settings for low, high and auto-heat, so food gets the careful treatment it deserves. Similarly, electronic temperature control and timer ensures even, thorough cooking. It’s (very) easy to use, and it’s dishwasher­safe, too. P reparation Shell the shrimps (Royal Red if you can find them; but any large fresh shrimp will do) without removing the heads and vacuum-pack them without seasoning. Place the bag in the Gorenje SousVide and leave to cook at 47CË&#x161; for 20 minutes. Remove the shrimps from the bag, marinate them in finely-chopped garlic and parsley, olive oil, salt and pepper. Fry the marinated shrimps at medium-high heat for 60 seconds. Steak Remove any fat from the steak and cut it into large 200g pieces. Vacuumpack each piece of meat individually and place inside Gorenje SousVide at 55CË&#x161; for 20 minutes. Remove the steaks from the pouch and quickly sear in a hot frying pan on each side for 30-60 seconds to caramelise and add flavour. Boil and mash potatoes, then add melted butter, cream and seasonings. Beat into a fine creamy texture using a heavy whisk. Chop tomatoes and onions into small pieces. Add finely chopped parsley, salt, pepper and olives. Add some olive oil and a few drops of lemon juice. Serving Serve the steak on a bed of creamed mashed potatoes and baked red pepper. Serve the shrimp on a bed of tomato salsa. Drizzle some olive oil over the dish and decorate with fresh herbs. Food for Thought Urška Pavčnik, M.Sc. in food technology and nutrition specialist on cooking technologies, food facts and myths, the temptations of chocolate, and her development work at Gorenje. solution, a new appliance for instance, they want to know more about both it and the larger picture. Let’s start with a bit of an introduction. Tell us a little bit about yourself and how you came to be a part of Gorenje? I come from a small town in Zasavje, and studied at the Biotechnical Faculty in Ljubljana, focusing on food technologies. Initially I wasn’t particularly interested in food or cuisine, but the study curriculum was so varied and engaging that I fell in love with food all over again. By the time I finished studying I was dreaming of writing a book about healthy food for pregnant women. So I did, and it came together beautifully. After the success of ‘Healthy Preggy’, we (together with my partner) started a blog (www.oopsi.si) where we share nutritional advice and healthy recipes. I was working as a school teacher when I applied for a food technologist posting here – and here I am! It’s a lot of hard work, but I like it, a lot – it’s very engaging and always full of new challenges. You write about healthy diets. There are so many trends when it comes to food. Which ones should we believe? I like to think of it in terms of simple is better. A little bit of everything in moderation. We hear a lot about ‘superfoods’, but there’s a lot of misleading information out there. Most people don’t know that broccoli contains far more nutrients than the now-so-trendy goji berries. But they buy them anyway – and for the price of a whole lot of broccoli! Also, most instant diets never work. I’m happy to see people going back to basics: physical activity, fresh healthy food, smarter lifestyles. What are you infatuated with? What do you absolutely have to have in the kitchen? Well, a little bit of everything, really. I like spelt and spelt flour. It really handles well, also for baking. And wholegrain everything. I was a bit afraid of gestational diabetes, the one commonly associated with pregnancy, so I tried to cut out as much refined sugar and flour as I could. But I find it hard to say no to chocolate. Which kitchen tool can you absolutely not live without? I have a regular induction hob and oven at home, but I’d also like to have an IQcook. Especially now that it has so many different programs: poaching, steaming, simmering, sous-vide. I absolutely love the steam program, everything is done so quickly, and the tastes and textures are amazing. Veggies like carrots or broccoli are bursting with colour, and entirely different than regular boiling. Also the simmering program, ideal for soups, stews or goulashes. The trick is heating the dish thoroughly, then dropping the temperature just below the boiling point to a slow simmer. And the difference with beef stock is amazing – by simmering it comes out completely clear, and the taste is incredible. And poaching, where you cook food between 84-87° C, perfect for meat or vegetables with some nice sauce or bouillon. Because cooking temperatures are lower, the food retains a lot more aroma, and meats are so very tender. The proteins are denatured slower, and fibers are softened which again, makes for marvellous textures. Most people don’t know that broccoli contains far more nutrients than the now-sotrendy goji berries. Why is sous-vide so popular? It really is catching on like wildfire. Sous-vide is very well suited to meat, vegetables, even fruit. The idea is to cook food slower, over a longer time, at a steady, usually lower temperature. Gorenje has a tabletop machine now, but I loved using the IQcook as well. You wouldn’t believe how a simple dish like scrambled eggs can come out so differently. With no added oil or fats, just steaming, slowly – amazing. So you’re actually experimenting with food, exploring how we might better understand how to use technology to make the most of basic ingredients? Yes. And thanks to the Biotechnical University we also have analyses to back it up. We have comparative tests indicate nutrient, mineral, vitamin, fat, carbohydrate and protein levels according to various preparation processes. Like the classic roasting of meat next to a slow steaming preparation. We gathered a lot of useful information along the way. To wrap up then, what’s next? I’m going to write another book – this time about solid food for babies. I think my blog will keep me busy and continue to grow. Here at Gorenje I’m dreaming of expanding our nutrition department and assembling a bigger, better food lab. There’s so much more to do! The built-in ovens project was one of those exciting, evolving projects that could be further developed. Microwave ovens for instance – people are prejudiced towards them, but they have so much potential. I’ve had a part in the development of the new ION Generation of refrigerators, which have an integrated LED that stimulates the ripening of fruit and vegetables. UV light has important effects, and analysis indicates higher levels of vitamin C, chlorophyll, beta-carotene and more. This makes me want to do more of this type of research – a whole lot more. In a successful collaboration with GORENJE, Karim Rashid created In a successful collaboration with GORENJE, Karim Rashid created a family of emotively superior objects. On the outside, they are a family of emotively superior objects. On the outside, they are defined by a restrained but strong character, and pure lines. On the defined by a restrained but strong character, and pure lines. On the inside, these are powerful tools, blessed with invisible technology. inside, these are powerful tools, blessed with invisible technology. They tell the story about the flows within â&#x20AC;&#x201C; the flow of energy, the They tell the story about the flows within â&#x20AC;&#x201C; the flow of energy, the flow of tastes, and the flow of air. The Flow of Life. flow of tastes, and the flow of air. The Flow of Life. goats’ milk, pasteurised, full­fat, semi- or skimmed – into magic. Let the ready­made yoghurt come to room temperature, and pour the milk into a saucepan. Heat the milk to 85°C (do not boil), stirring occasionally, then leave it to cool to about 46°C (this process results in thicker yoghurt, as well as killing some unwanted bacteria). Then whisk or stir in the live yoghurt – about 3 tbsp for every 500ml of milk. Before the mixture cools, pour it into a warmed thermos and cover or keep in a warm place, then leave it for eight hours (overnight) – longer for thicker, stronger­ tasting yoghurt. For a more convenient and controlled preparation, homemade yoghurt can be prepared at a temperature of 40°C in about 3 hours in the new generation of Gorenje built-in ovens on the “yoghurt” setting – together with a little help from some Gorenje accessories. Once set (it must set), pour the ready yoghurt into clean jars and store in the fridge, for up to two weeks; you can even freeze it to enjoy whenever you like. Eat well and live long. A simple guide to serious stamina, energy, stress management and beauty – from the inside out. sweet flavors. Makes a wonderful healing tonic mixed with hot water or juice. Also a great addition to smoothies, granola, oatmeal, energy bars, and yogurt. Guarana: Big energy, fully alert Origins: A berry that grows in the Amazon River drainage basin in northern parts of Brazil. Benefits: Contains large amounts of guaranine, similar to caffeine in biochemical structure and effect, but absorbs in the bloodstream more slowly, for longer lasting better balanced effects. Stimulates the nervous system, speeds the heart, stimulates blood flow and acts as a diuretic. Use: Guarana in Chocolate Bliss tastes a little bit like a mocha and gives just the right amount of focus to the morning. Make a thicker smoothie by adding fresh or frozen fruit and/or activated nuts. plant or beets. Compared to chocolate, carob is richer in calcium, has one-third less calories, 17 times less fat and contains no caffeine. Use: Carob powder can be used whenever a recipe calls for chocolate or cocoa. Carob’s unique sweet flavor also lends itself well to shakes, malts, bars and breads. green smoothies. Whiz it up in a blender with some vegetables and seasoning, or try blending it with fruit, yoghurt and honey. Goji berries: Go forth, live long Origins: Also called the wolfberry, a bright orange-red berry that comes from a shrub native to China. Benefits: Possible benefits for mental wellbeing and calmness, athletic performance,, quality of sleep, and feelings of good health. Natural anti-inflammatory, anti-bacterial and anti-fungal compounds. Powerful antioxidant properties and polysaccharides help boost the immune system. Use: Make a great snack eaten as is, added to trail mix, muesli or oatmeal; can also be soaked for a couple of hours, making a delicious drink or added to smoothies. w hy can ’ t m en ? There's also a handbook on different beard styles he reads rigorously every time he obsessively trims his facial hair. He’s cute and spontaneous, and usually has many little lovable quirks and obsessions; which over time become extremely annoying. We all know him; or someone like him. Which leads me to my, now very pressing, question: Why is it that guys, when they get really interested in something, become so obsessed with it that they to have to learn everything about it, and are able to talk for hours about it, and in minute detail? An easy night out turns into a brutal competition over who knows more about, say, wheel rims. Which usually winds up in a round of feverish Googling and know-it-all high fives. Dear god; why? But don’t even get me started on sports equipment! Remember when he finally gave in and started running? Not before the ‘wet test’ of course. Don’t know what a wet test is? Neither did I, until I got a full lecture by Mr. enthusiastic new runner. Now I know everything about flat and high arches, pronators, good soles, the benefits of cross country, even newer materials that breathe, that new app that measures your heartbeat and all, the newest designer water bottles – but oh, when will Stella McCartney start designing stuff for men, honey? And that’s just the jogging. Ever see a guy looking for stereo equipment that will do his perfectly archived record collection justice? It starts with laborious research, test comparisons, scouring audiophile forums that only exist in the virtual world. Then he has to choose the best-looking design and the best of every single component there is, from cables to headphones. He can spend days re-thinking whether his choice of turntable needle really was the best for the price; or should he order the handmade one from that little specialty shop in Kyoto that user ryuichisakamoto82 from audioholics.com recommended? Once the gear finally arrives you’re suddenly reorganizing and redecorating the entire house for the optimal configuration for the best sound experience ever. Do you also always pretend you don’t know the guy who just popped out the door in that neon green, condomlike biking suit with matching helmet – in which he looks like a sic-fi cartoon character? He’s just going for a little ride to town and back with his racing bike, and it looks like rain (his fixed-gear bike doesn’t have a mud guard, because it would make the frame too heavy). I’ve also learned about all the many types of skis, about racket grips, and the (very) different outfits for squash and tennis. Now the kitchen has become the new playground – for this new expert on vegan culinary art. No more worshipping at the altar of bacon. Because when he decides to get rid of his beer belly (it was artisanal beer, of course; and I have some 28 books and a home brewing kit somewhere in the garage), it’s done with all the passion and focus of a woman before a designer sale. First, the education (buy all books on raw vegan diets), then the preparation (five new kitchen appliances), then the health obsession (‘hey, we should start our own garden’). And he’s chewing happily on carrots sticks with freshly made hummus while blending dates and cashews for his gluten-free, raw birthday cake. Soon the macrobiotic craze see its fifteen minutes. He’s making his own soba (likenew noodle-making machine, anyone? ), sipping on bancha while the kombuchu soaks, going on about how his ying-ness and yang-ness are finally in balance. By the time his beer belly is gone, summer barbecues have arrived; and a lengthy article on relaxation and a return to food basics steers a new course; and bacon is back with a vengeance. His nutritionist taught him everything about goji and acai berries, pure coconut water and the wonders of vitamin E.
Then there’s the men’s magazines, and the importance of grooming. I was raised to believe that we women have the sole right to occupy bathrooms for ridiculous amounts of time. But suddenly the cabinet is crammed with potions, creams and balms and – wait, what is that I see? A mustache grooming kit? Hair pomade?! Since when did pomades make some big comeback? And could we please see this (long-running) beard trend die once and for all? There’s also a handbook on different beard styles tucked in the back, which you know he reads rigorously every time he obsessively trims his facial hair. His morning routine is slowly but surely usurping your right to your morning shower – because he’s now priming, moisturizing, gently massaging his skin. Then a zealous brushing, polishing and flossing of teeth. Then trimming, shaving or mustache styling. Then the hair. Followed by my angry demand for another, separate bathroom. Why is it that when your man takes an interest in something, he goes OCD (obsessive-compulsive disorder for you lucky few who’ve managed to live outside things OCD) and just has to perfect every step of it? Buy every accessory available? Replace every gadget with the newest model, even though the old one is just fine? Soak up as much information as possible? If you’re like me, you never read the instruction manual. But guess who treats it as the best international bestseller? And guys, do you have any idea how women buy cars? According to colour. Saves lots of time. But come to think of it, I heard about a guy who bought a car because he liked the sound of the engine. So, I’m skipping the car debate, since I absolutely agree that this is definitely your area of expertise. Which fountain pen is the absolute best? Why not build a home aquarium. Quitting smoking is great but no, electronic cigarettes are never going to be cool. Perhaps I really shouldn’t complain. He is, in the end, taking care of himself, and a healthy interest in self-improvement never hurt anyone, right? But why does he have to turn everything into a mini-mania? Why does it always have to be about the next new thing? Why can’t we just sit still for a second and enjoy this… oh look, a shoe sale! I absolutely have to have those in black! Maybe in patent leather? I’ll have to make more space in the closet – maybe if he threw out his comprehensive collection of rare comics? brings you to a more alkaline state, which is better for your overall well-being and helps prevent illness and disease. Three times a day I drink vegetable juice, green of course, and I’m slowly becoming accustomed to cod liver oil, which is good for your brain and your bones, helps regulate the immune system, lowers blood pressure and strengthens your joints – all of which is great if you practice as many physical activities as I do. I’m not a big fan of sushi. I don’t even like dark chocolate, considered far fancier than all the milky ones. Don’t get me wrong, like everyone else I can the sensation of raw, salty fish or silky chocolate on my tongue. But the fact that food is fashion scares me. The 1980s was a time marked by a profusion of jelly. Initially jelly wasn’t a dish on its own, but was only used for conservation purposes. (The first known jelly recipe dates back to 1395 and a famous collection of French recipes known as Le Viandier.) Slowly jelly made its way into the patisseries, but that wasn’t until the late 20th century – and then with a vengeance. Food in the 80s had to be fun and colourful, you could mix-and-match almost anything, often producing quite diabolical creations. You could also freeze it or leave it uneaten overnight and it would still maintain its perfect shape and freshness. The taste wasn’t the point – the best jellies were meant to be tasteless anyway. It was all about the presentation. It was about fashion. Five Diets – The Wild and the Wonderful It’s pretty easy to crete a new diet trend, especially when the ones that already have countless believers can be so bizarre. Like the popular one that has you eating nothing but protein for weeks, or the one that has you flushing your system with a litre of salt water in the morning. And let’s not forget the one that promotes living on sunlight and air alone. So here are five diets that almost sound compelling – a selection by dietician Deborah Smith. What are we doing? These days I find five types of milk in our office fridge, and each of my colleagues has at least one food intolerance or something they simply cannot eat. It seems everyone has a plan, a nutrition plan: to lose weight to be healthy, to prove something to themselves, to save themselves (or their superego). We are all so different and yet the same. Individualization means trying to make some sense of things for ourselves; and revolting against commercialised stories that tend to banalise and obscure the point. and undesirables. Blind your metabolism and sip your salad through a straw, slurp your pizza soup, and follow it up with a dessert of puréed apple pie. The hurry up diet Although we’ve long been told to eat slow, recent findings suggest hurrying a little is not such a bad thing at all. Eating your meal inside two minutes accelerates metabolism and eliminates fatigue, keeping you tip top mentally and physically. The midnight diet Come midnight your body doesn’t technically know whether it’s today or tomorrow. The body is trying to sort out all the nutrition it has ingested throughout the day, resting in a so-called nirvana-like state. The body is so content that any nourishment you take in isn’t even noticed – including the fat. So dig in and enjoy your midnight burger. The hold your breath diet If you find yourself breathing irregularly during meals it might be that your body can’t absorb all the nourishment it craves. So specialists suggest holding your breath when swallowing so that the body focuses only on the intake of food at that magic moment. (Don’t forget to breath between bites!) The 502GR diet This diet is based on the rule that food consumed must weigh exactly 502 grams. Consuming more means food is automatically transferred to fat cells because the body thinks a rough fasting time lies ahead. Consuming less puts your body into a starving state. Weights can be varied after consulting a grams-driven diet specialist depending on how much you want to lose or gain. The same is happening in the field of food and wellbeing. “My food” covers a vast area of hot new things and micro-trends, most short of breath and that will never manage to transcend their momentary trend-status and become mainstream. Nonetheless they are, taken together, also a phenomenon, and can be a lot of fun; and if we look a little closer they work as a great mirror of wider developments in modern-day life. And because some of these practices are (still) closely connected with mass culture they’re also becoming a part of a larger pattern of general food consumption. Veganism, Fruitarianism, Urban Gardening, the Paleo Diet, the Raw Food Diet, the No Carbs Diet and Superfoods represent only the most widely accepted of them. SENSOCARE ultimate care for your laundry Fully customized washing best suited to your needs. Choose between four different modes: NormalCARE, EcoCARE, TimeCARE, and AllergyCARE. All optimized to allow an excellent washing result and perfect laundry care. My Gorenje Washer Moments Even the most fixed routines need some fixing (with a little help from Gorenje) Every lifestyle brings with it its own stains. For some we blame the kids, pets, our own clumsiness, love, neglect and more. If there’s nothing or no one else to blame we pin it on pollution. What and how we need to wash varies; and is as varied as laundry treatments are different. Here we find four 4 households, all with very different ways of living. All have their own personal laundry concerns. The solution starts with finding the right key feature for your washing – and lifestyle – needs. Dog owner AllergyCare. Provides almost 50% more rinsing. Who’s allergic, him or her? Dogs never liked detergent much, babies neither. The AllergyCare program is intended for a thorough washing of clothing fibres, with additional rinsing. This removes allergens that create an unpleasant feel on sensitive skin. Who’s more sensitive, him or her? In the end there isn’t a trace of detergent, nor any other potential allergens on your clothes – including dog hair. Party girl Steam is a tried and true yet gentle sanitizer. By effectively rehydrating and breaking the bonds of dirt and grime it’s a powerful spot and wrinkle remover and deodorizer – without washing. Though it sounds a little illogical for a dryer to apply more moisture to clothes it’s actually very useful in reducing wrinkles and eliminating odors. Comes in handy when dress occasions follow each other one after another. Rugby player He trains 5 days a week and comes home all muddy. (But he still looks gorgeous, and even smells pretty good too.) Sports clothing is usually made of synthetic materials which require special care. They need to be treated softly and thoroughly, with gentle tumbling and high water levels. The program washes at 30 to 40Ë&#x161;C, with spin speed from 800 to 1000 rpm. Big family More hands means more help, right? Not exactly, when you try and prepare the laundry with four kids. The best is to chuck it all in at once. And give it a nice wash. Typically a larger drum will be more efficient per kg of washing, requiring less water, power and time to wash the same amount of clothes as a machine with a smaller drum. En vogue The art of house chores Good advice is like a good anti-wrinkle cream. Both minimize furrowed brows and other anxious, what-do-I-do-now lines on the face. To protect you from fading to grey we’ve collected a variety of good, useful tips. Unfortunately they’re kind of like good jokes: you never remember them when you need them. But now you know where to find them. Shoes mean sweat, sweat means odour and odour makes your nose wrinkle. It’s been this way since the invention of the shoe, but now we can eliminate this kind of smelly household problem. More companies have been producing the next generation of socks – the odourfree nano socks – a good example of intelligent design. The socks are impregnated with large silver nano particles that prevent the growth of bacteria and fungus. Want to really make an impact? Impress guests with pastel-coloured scented geraniums. The flower is a new addition in the multi-starred kitchens. Chefs experiment, blanch, glaze and decorate with this finely scented up-and-coming blossom. There are an endless amount of varieties that taste of – and smell of – ginger, chocolate/mint, scented oak, rose, lemon, lime, musk and coconut. Create, for example, braised rhubarb with geranium, whipped cream, and spruce needles. Or use geraniums as an edible garnish. Whether you garnish or blend, you are very, very en vogue. If you have a little red wine left in the bottle, put it in ice cube bags and freeze it instead of throwing it away. Whipped cream can also be frozen in your ice cube tray. Then it’s always easy to give your sauce a lift – for both small and larger get-togethers. A dishcloth is a bacterial paradise. So change your dish towel often, a least once a day. And only use your dishcloth to wash and wipe tables, stovetops and other kitchen surfaces. The juice of meats and leftovers spilled on the kitchen counter should be wiped up with a paper towel. You can reuse your cloths, if you wash them at a minimum of 60 ° C.
You might be asking yourself what nylon stockings have to do with cleaning? The answer is surprisingly simple. If you want to clean the drawers without removing the silverware or whatever else you might have lying in them, place a nylon stocking over the hose of your vacuum cleaner and let the vacuum do the rest. The nylon stocking ensures that only dust gets sucked up. The same procedure also works for cleaning toy shelves and the like. Not all fruits are sociable. Apples, plums, peaches and pears emit ethylene gas that kickstarts the ripening process of all other fruit. Bananas and cucumbers are especially susceptible to ethylene. So, if you want a firm banana in your banana split, keep it away from the other fruit. 7. How to avoid crying while cutting onions? Sprinkle with salt Ah, to be a fly on the wall when people cut onions. Here’s a tip that actually works: it helps to sprinkle salt on the onion while your cutting. The scientific explanation is that onion emits sulphurous vapours when it’s cut. Salt likes being dissolved and the ions are bound with the sulphur. Chefs don’t cry just because they’ve become accustomed to the vapours. So grab a cutting board and cook your own meals. The more onions you cut the less you cry. Onions are a matter of habit. 8. How to react when you get candle wax on a wool jumper: Take it easy Candle wax should encourage peace and quiet – even after it’s dripped onto our favourite creation, the longhaired wool jumper with the reindeer design on the front. And even though it took an entire winter season with “knitting for beginners” to create, there’s no reason to panic. Take it nice and easy and lay the affected piece of wool clothing in a plastic bag. Close the bag and place it in the freezer. After a couple of hours, the candle wax should peel off. If not, cover the stain with a paper towel or coffee filter and iron. Then wash following the care instructions. And relax. For most families with children, getting out of the house in the morning can be something of an achievement (keys? pacifier? Clara?? chocolate cake??? washcloth????!!). Then it happens. The harried, lightning fast goodbye kiss results in mom’s dazzling mocha lips landing on dad’s shirt collar. Now what? Dip the collar in whole milk until the milk becomes the colour of the lipstick. Then put clear dishwashing liquid on the spot. Let the shirt sit for 4-6 hours before washing. If there’s any colour left, gently scrub with rubbing alcohol once the garment is dry. It can take hours of elbow grease to clean a grill rack. But it can be easily done if you do it like this: Smear the rack well with soft soap and place it in a large plastic bag that you seal, to prevent any air from getting in. This allows the soap to concentrate on doing its work. Let it stand overnight, and the next day it should be easy to clean with a sponge. All that’s left is to wash it with dish detergent or put it in the dishwasher. Remember to use good, old- fashioned soft soap – the liquid kind cannot be smeared on. Gorenje Shines at Casa Cor São Paolo Summer in São Paolo, Brazil, set the stage for Latin America’s largest and most important fair for architecture and interior design, Casa Cor. And Gorenje was featured in no less than three design settings with appliances from the Ora-Ito line, Gorenje by Karim Rashid and the Pure Line. Studio Gourmet showcased Gorenje products together with work by renowned architect Ricardo Rossi; at Future, Tailor-Made, they were part of an extensive installation by the high-end contractor Vitacon; and at the Golfer’s Chalet, Gorenje appliances were featured in the premium kitchen studios of Marchi Cucine. This, the 28th edition of Casa Cor São Paulo, which ran from late-May 27 to late-July again proved a professional spectacle. The most extensive exhibition of architecture, decor and landscaping in the entire Americas brought together renowned professionals, new developments and big style in close to 80 engaging design installations. Architect Ricardo Rossi created Studio Gourmet using Gorenje kitchen appliances with a fridge, oven, induction hob and microwave form the Gorenje Ora-Ïto Black Collection, together with a hood from the Gorenje Pure Line Collection. Architect Fernanda Belotto created his Future show for the Vitacon construction company to decorate small spaces using contemporary innovative products, which featured a white hob from the Karim Rashid Collection and a built-in wine chiller. And The Chalet, created by architects Antonio Ferreira Junior and Mario Celso Bernardes, in partnership with the Marchi Cucine kitchen studio proved cosy and charming with an induction hob and built-in oven from the Pure Line Collection. Big in Milan ASKO Pro Series range launched at Design Week in Milan The ASKO Pro Series launched as a full range of exclusive kitchen products at the celebrated Tortona Design Week in Milan, which took place in April. The range is inspired by the heritage and tonality of the ASKO brand – professional and stainless steel, which includes largecapacity ovens and exclusive extra-large 203 x 75 cm fridge-freezers boasting nearly 400 litres of storage space. Also featured are dishwashers with all key components made entirely of stainless steel, stylish hobs with flexible cooking zones and powerful cooker hoods. The ASKO Pro Series kitchen range is a brand new series of robust and high-performance stainless steel kitchen products for anyone who loves cooking. This exclusive range includes large capacity 45 and 60 cm ovens, and a 185 cm-high combined fridge freezer with a converter that allows the temperature in the freezer compartment to be set between -8°C and +3°C. Gas hobs with efficient Volcano wok burners, induction hobs with up to three flexible cooking zones (Bridge Induction) and Pro Series cooker hoods with AirLogic technology, and the Pro Series dishwasher with the largest loading capacity on the market offer just a taste of the exciting ASKO Pro Series range. Kraljevo gets its own Gorenje Studio Serbian Kraljevo and surrounding region now has a new place to go, where they can outfit their home from top to bottom – a new Gorenje Studio. This unique chain of Gorenje retail stores is designed to provide shoppers with a great variety of Gorenje appliances and kitchen furniture. The first Studio opened in 2006 with the aim of providing shoppers with more than simply appliances. Today that number has grown to 15 Studios across Serbia, where shoppers can find an entire range of Gorenje products and services – and all under one roof. In addition to appliances this exceptional store features quality Gorenje kitchens as well, a product range that includes 19 kitchen models in 318 different colour combinations. And shoppers can get all the related services they need, in one place – consulting, measuring, design and installation. Professional help that Gorenje Studio customers have come to rely on, and who want nothing but the best for their home. Info in Istanbul Summer saw Gorenje Info Center Istanbul open its doors in one of the most prestigious spots in the city, Nişantaşı, with a grand opening ceremony on 18 June. Bostjan Vodeb, Deputy Executive Regional Director, Gorenje, together with the Supervisory board of the Enkay Group – Gorenje’s partner in Turkey – and special visitors from the well-known Kitchen Studios attended and took part in the colourful event. The showroom highlights several Gorenje product and design lines together with Enkay’s other quality brands. Gorenje products are also showcased in Enplus Retail Store Chains and can be seen in the most popular shopping malls in Istanbul. The new Gorenje Showroom/Info Center caters to a range of visitors, from endusers and designers to project contractors and kitchen studios, all day six days a week. Gorenje Gulf in Dubai This past spring the 16th Water, Energy, Technology & Environment Exhibition (WETEX) 2014 was held over 47,000 m2 of the Za’abeel Halls at the Dubai International Convention and Exhibition Centre. The exhibition, in April, was organized by the Dubai Electricity & Water Authority (DEWA), under the directive of HH Sheikh Mohammed bin Rashid Al Maktoum and under the patronage of HH Sheikh Hamdan bin Rashid Al Maktoum. This year’s expansive event saw the participation of more than 1,400 companies, including Gorenje Gulf FZE, which exhibited in cooperation with their exclusive distributor in the UAE, Jumbo Electronics Group. Activities: Snowmobile tours, dog sledding tours and northern lights, horse-, moose- and Sami arrangements, guided snowshoeing and cross-country skiing. Food: from gourmet to lounge to homey. Getting there: ICEHOTEL, Jukkasjärvi, 15 km from Kiruna Airport (KRN), 17 km from Kiruna train station. Open: December to mid-April – when everything melts and returns to the Torne River. ness and cosmopolitan spirit rarely found elsewhere in the country. So don’t think the city is all work and no play. Locals definitely like to party, whether in cutting-edge clubs or traditional apple cider pubs. Culture vultures can swoop down on first-rate museums, galleries and the opera, while history buffs should make a beeline to the birthplaces of German democracy, and of literary giant Johann Wolfgang von Goethe. mud at the Lepa Vida Thalasso Spa. Thalassotherapy is a compelling form of healing that employs (natural) gifts from the sea and the many beneficial effects of the coastal climate. These healthy and hedonistic therapies have a refreshing impact on the body, establish balance and give it energy as well as nourishing and regenerating the skin. With the added nourishing value of minerals like bromine, iodine and magnesium deep in your cells you can stroll around a bit more, contemplate life as eternal as fleur de sel. Travel brings many an opportunity – like the chance to explore new ways of working out, keeping fit, staying your best. Simplify your routine. If your hotel or other temporary accommodation doesn’t have any fitness facilities (or you’d like to keep it to yourself) try something new, something that doesn’t require any special equipment or space. Years back Joseph Pilates created his series of exercises in an internment camp. Experimenting, changing up your routine on the road can help work new muscle groups, even boost your calorie-burn and of course, maintain your good looks. This season’s must-have looks focuses on hard-to-tone body parts. But fear not, use your body (not your mind) to create the resistance you need and follow us. Standing calf rises: For leg-baring boots Much as we might love bumming around in Birkenstocks all summer, there’s a special magic to slipping on a new pair of boots. We prescribe these no-brainer calf raises: standing on a step, a thick book or a radiator for extra draw on your arms and back. Make 3 repetitions of 20 raises. Once finished, lower your heals as far as they’ll go and take three slow deep breaths. Vertical cube: Bounce and spring Thigh volume isn’t always a bad thing. When they’re solid enough that fingers don’t sink deep into the skin but spring off the thigh, if they appear to be touching your rectus femurs, then it’s time for a new pair of tight leather pants. Try making a 90 degree angle at your knees, hips and elbows. Then hold the cube for 10 breaths. For the next 10 quick breaths add a little bounce in the hip area with every exhale. For the last 10 breaths maintain the position and lift your heels with each exhale. Tricep toner: Never neglect the behind These never get enough attention, even if you’re a mother – or father – of twins. Biceps always get all the glory. Here’s an easy fix up for firm and lean triceps (backs of your arms]. Use the side of the bed, a stool or anything that’s high enough to keep your pelvis at least 20 cm of the floor when holding onto it with your arms extended. Make 4 repetitions of 10 lifts. Exhale each time you extend your arms. For a more taxing variation stretch your legs (if there’s space). Perfect obliques: Love for the loveliest Theyâ&#x20AC;&#x2122;re the ones that make you feel strong, psycho-physically indestructible, and add a bit of Hollywood just above your belt. This loveliest of parts on a manâ&#x20AC;&#x2122;s body needs some loving attention. Lie with your back on the floor, feet hip-distance apart, hands behind your head. Keep spine neutral, neither arched nor flattened. Inhale and slightly nod the head. Exhale and curl upper body off the floor, rotating left shoulder to right knee. Keep elbows wide and lower back and legs still. Inhale and lower to starting position. Perform 8 repetitions alternating sides. Bridge: Sculpted back, sculpted backside Lie on your back and put your legs on the wall so you maintain a 90 degree angle in your hip and knee joint. Lift one leg up to the ceiling. Stretch the lifted leg if you can. Lift the hips until you achieve a straight line between shoulders and the knee of the supporting leg. Maintain pelvic stability while lifting your hips by contacting abdominals with each exhale. Make 2 repetitions of 10 raises on each supporting leg. Plank: The bathroom version Crunch all what you want. Even the most aggressive regimen of abdominal curls will not tone up the area at the top of the midriff. Planking is your best bet all around. Hold the position for 10 breaths. Then stretch and bend arms 10 times. Exhale when you stretch, inhale when bending. For the last session of 10 breaths keep your arms bent and lift on your toes on every exhale. Deep stretch: Open, fly, repeat Hold onto something high just above your waist with your back turned to it. Spread your arms like an eagle. Bend the knees and stretch one leg. Flex the foot for even deeper stretch. Open your back and fly over your toes. Maintain your body position as long as you can. Reach through the crown of you head on one side and over the coccyx (small, triangular bone at base of spinal column) on the other. Keep you neck long. Breathe easily. When ready switch legs and repeat.